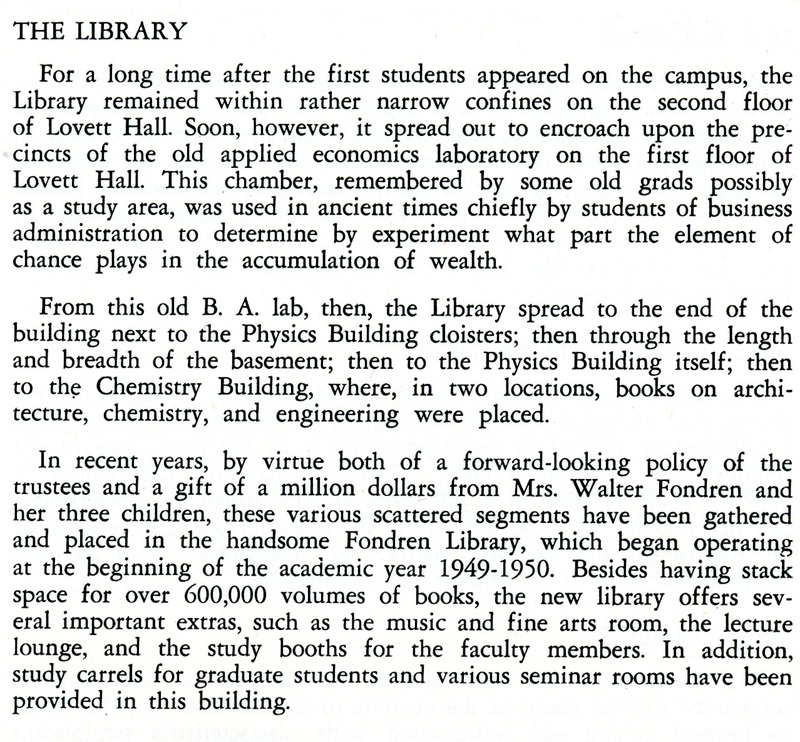 What I’m interested in here (besides the gambling on the first floor of Lovett Hall, which is a bit shocking–I think they gamble up on 2 these days) is the crazy quilt of library space that developed in the days before Fondren was built. Whatever that building’s demerits it surely answered a real need. What’s really eye catching is the window at the back left: you can see out of it. And what you see when you blow it up are the dorms. In theory I should be able to figure out where this room was. If I have a minute tomorrow I’ll go look. 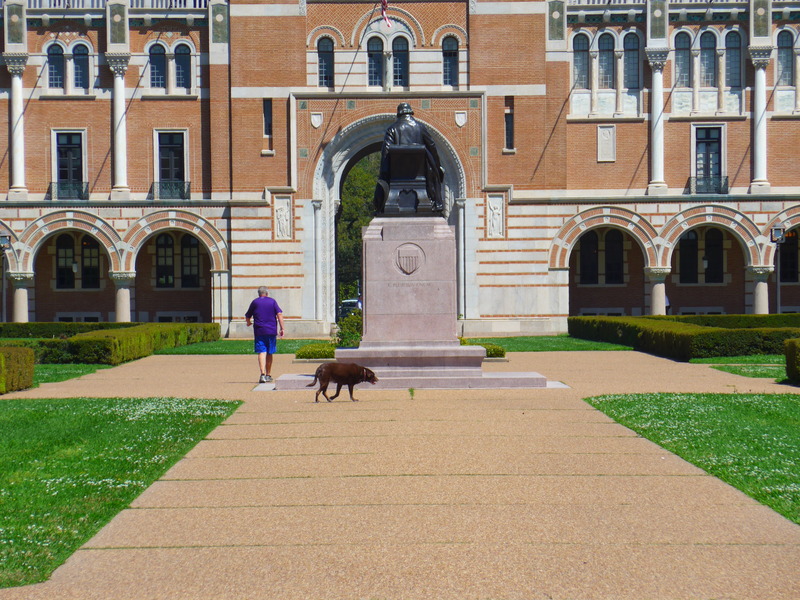 Bonus: Lovett Hall with dog, 2015. Wait, gambling was going on? I’m shocked, shocked. 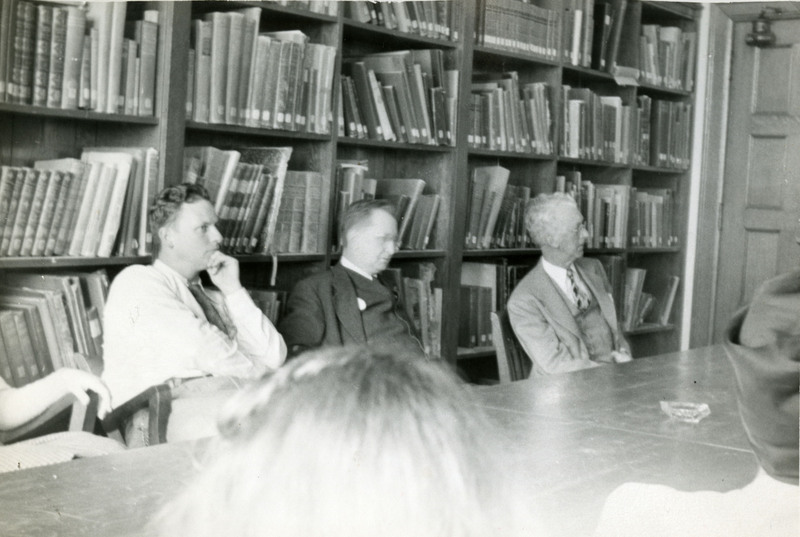 Maybe we’re just being cynical and they were performing academic experiments in the “applied economics laboratory.” Just what would an “applied economics laboratory” be, anyway? That sounds about right, although they played a lot of dice as well. of over 5,000 new books that have been added since the beginning of the year, important changes have been made in the grouping of the books. Oh, that’s good. That will help–I’ll start on the third floor (although the room numbers have changed multiple times, I’m pretty confident the third floor is still the third floor). Thanks, Mike! I’m guessing this room is above Chem Lec. That ell is just right to go out into the tower on that part of the building. Around 1972, 301 was a tiered lecture room at the west end of the building in which I took “Real Analysis”. 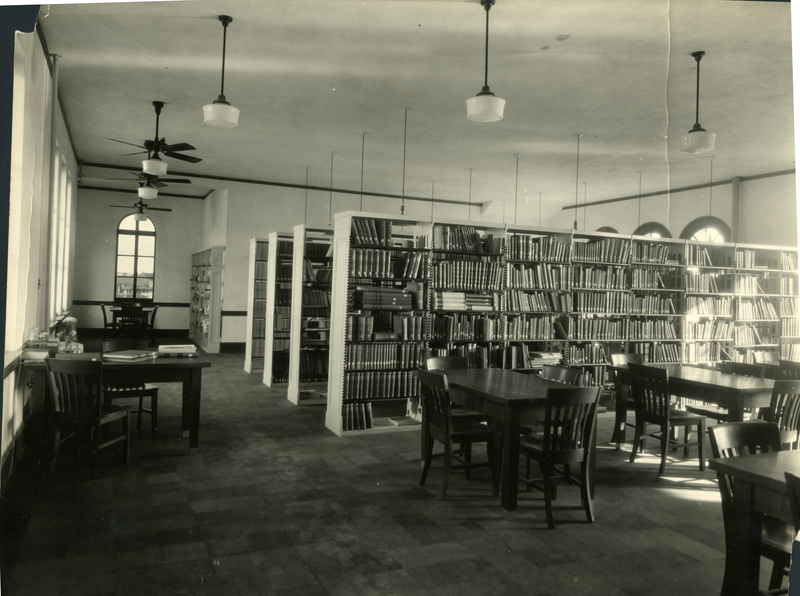 That was before all of the major renovations to the building in later years. So 302 would have been next to it and obviously on the Main Street side with the view of today’s Baker Commons and kitchen tower. During the Keck Hall conversion, I believe the room in question was being used as a lab with some office space partitioned off at the windows end. There some cable length issues in that area because of the partitions that ended up requiring creating a secondary distribution room to serve the west end.